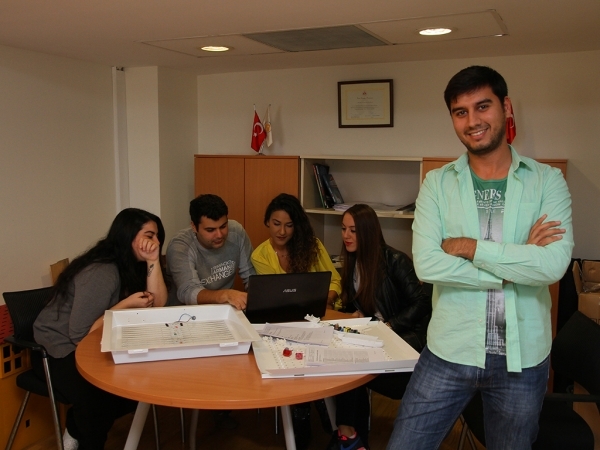 Students of Department of Electrical and Electronics, Izmir University of Economics (IUE), designed a lighting system that would increase people’s concentration level, creativity, and individual productivity. Students stated that level of productivity and creativity of people working/studying indoors changed based on lighting and color temperature. Entrepreneurial students are presented a white colored Dynamic Lighting System and red, green, and blue colored RGB LED lighting design in their project. This way, they aim to increase productivity in office environments and save energy at the same time.